Canadian singer Justin Bieber has more goals than just dominating the music charts on his mind. 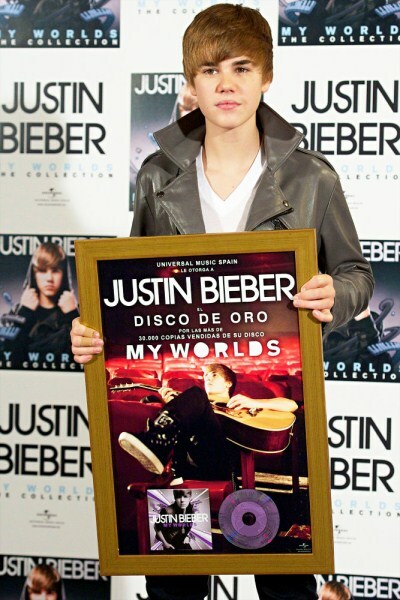 Justin talked to the press while he was in Madrid to promote his “My Worlds—The Collection” about his plans for the future and how he wants to head to college to expand his horizons. The Biebs has said that his education is extremely important to him, and he is dedicated to making sure that he finishes up everything he needs to accomplish. Now not one to stop there Justin has other dreams he recently appeared on the television show CSI and has his eye on a movie career too. “I also want to stick my head in the movie world although I am going to focus on my music for now,” he said. What do you think will we see The Biebs off to college. Somehow I doubt that will be happening anytime soon, I think the movies seems a likely next step for Justin. Is Justin Bieber’s Mom In Training To Become The Next Dina Lohan? Is Justin Bieber Going To Be The Next X-Factor Judge?